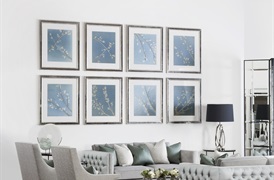 This collection features one-of-a-kind framed textiles by US designer Aviva Stanoff. 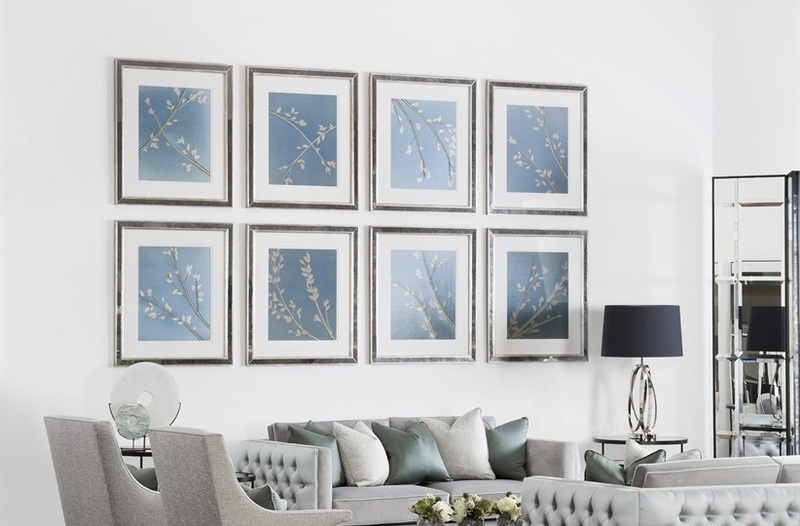 A stunning addition to any living space, each textile is hand-dyed, etched and painted one at a time, making no two pieces alike. Inspired by botanical surroundings, the colour contrast between crisp blue and luxurious gold introduces a new colour palette to an interior. 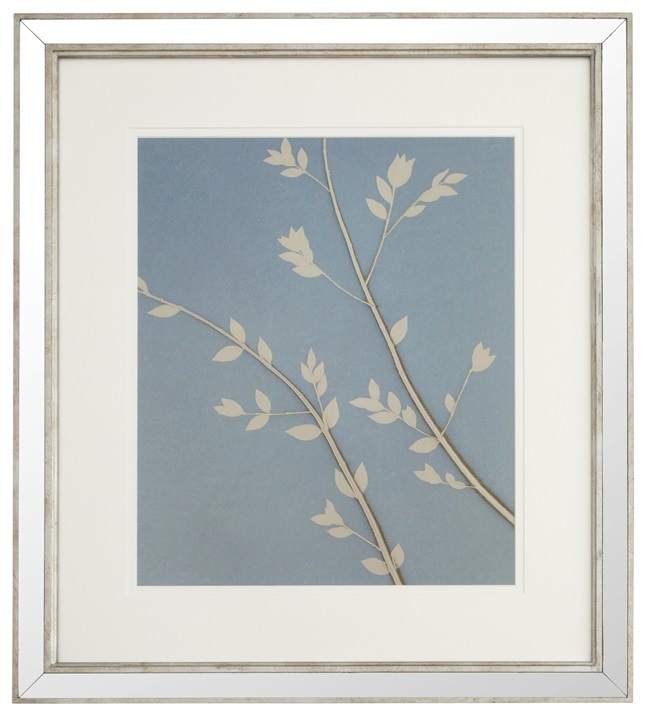 Having begun her career in textile design for top fashion houses, Stanoff’s work is known for its combination of sophistication and subtlety with unwavering attention to design and detail as. 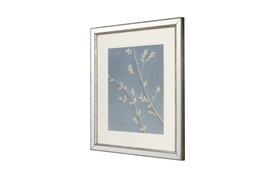 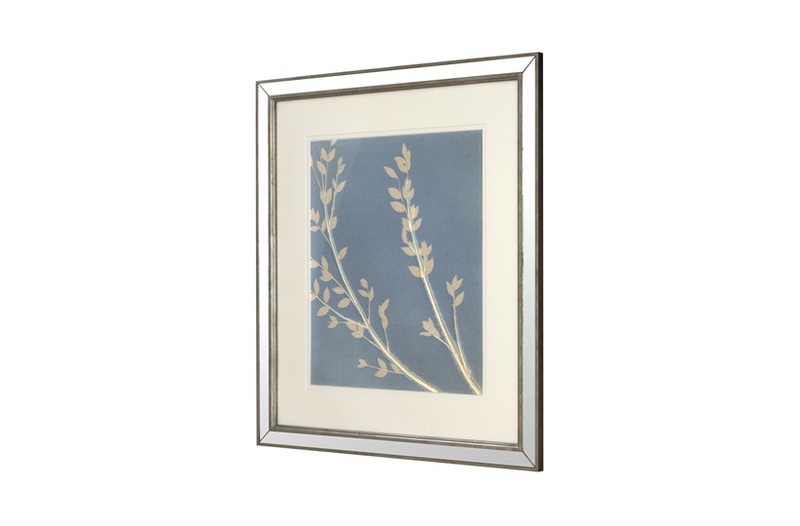 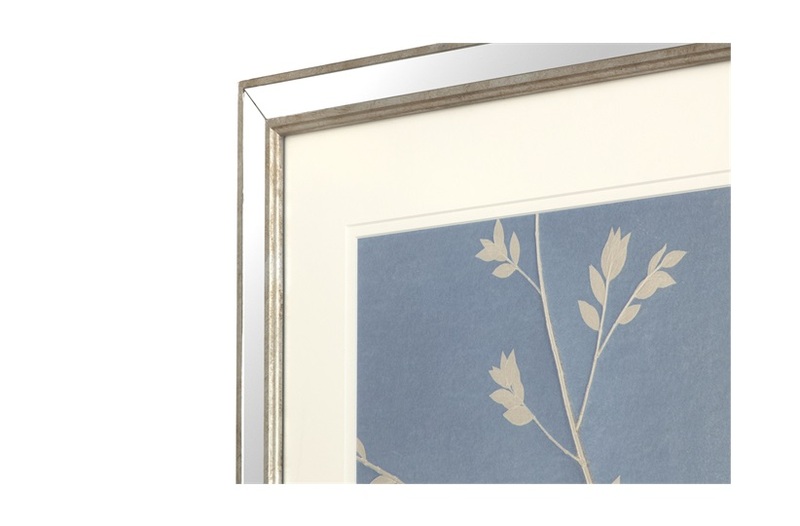 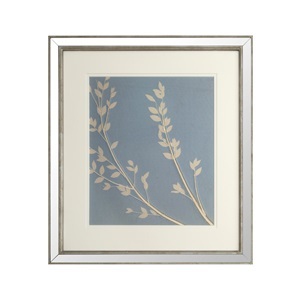 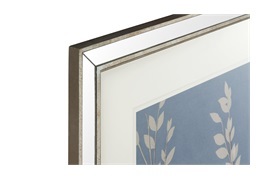 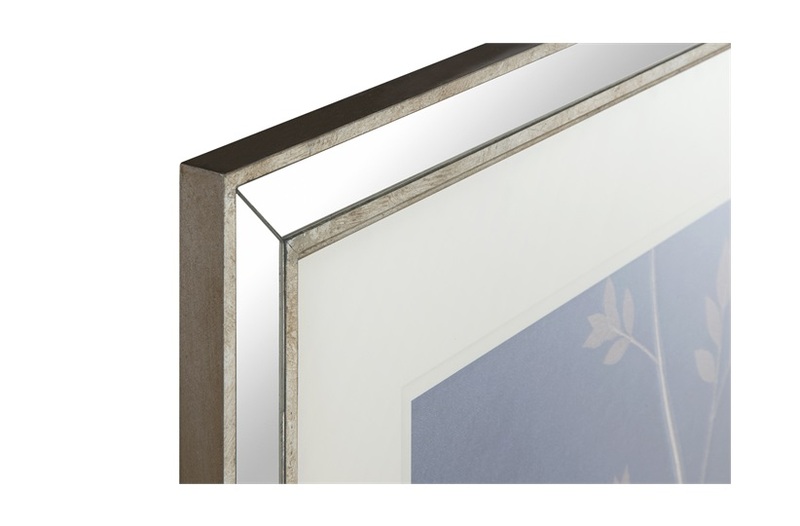 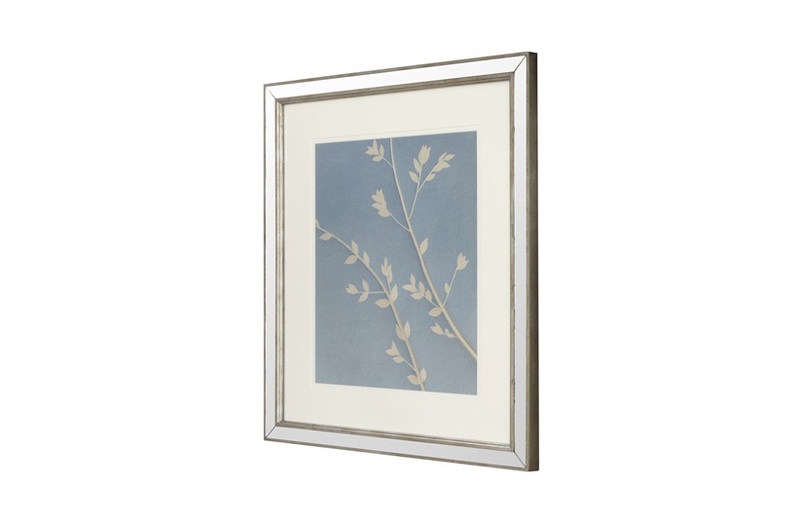 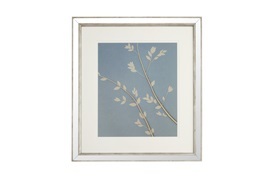 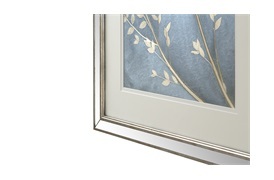 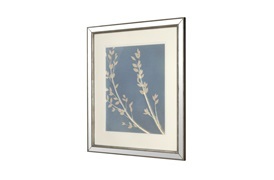 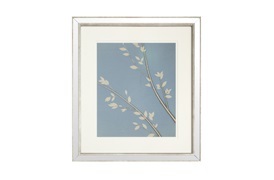 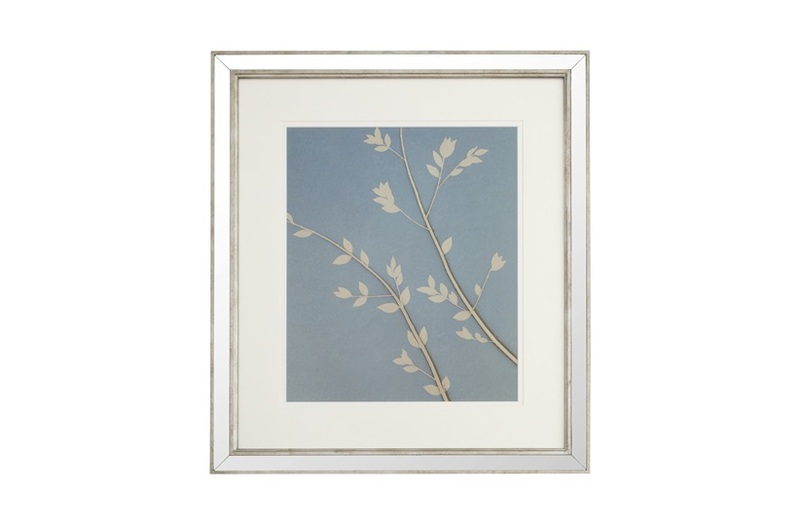 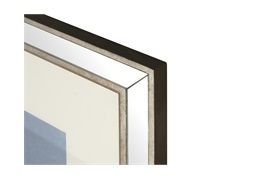 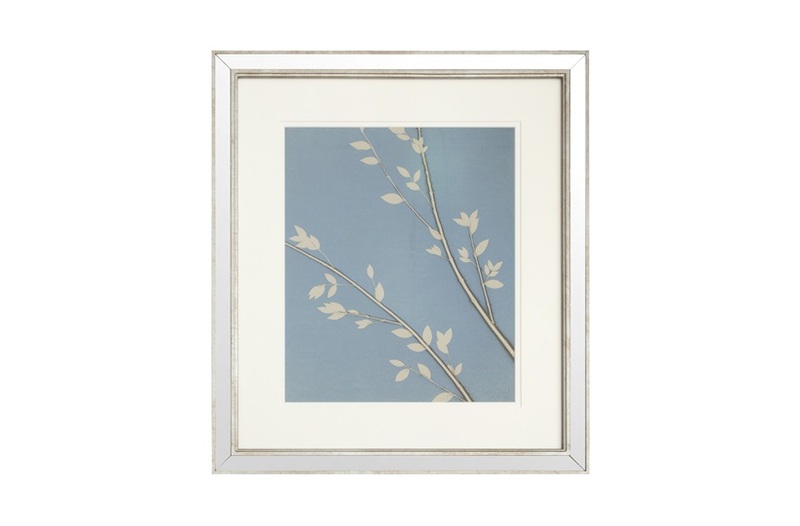 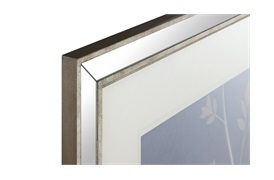 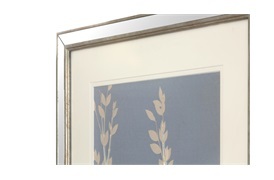 Each piece is framed in a luxurious silver leaf mirrored frame, complementing the opulent textile design.